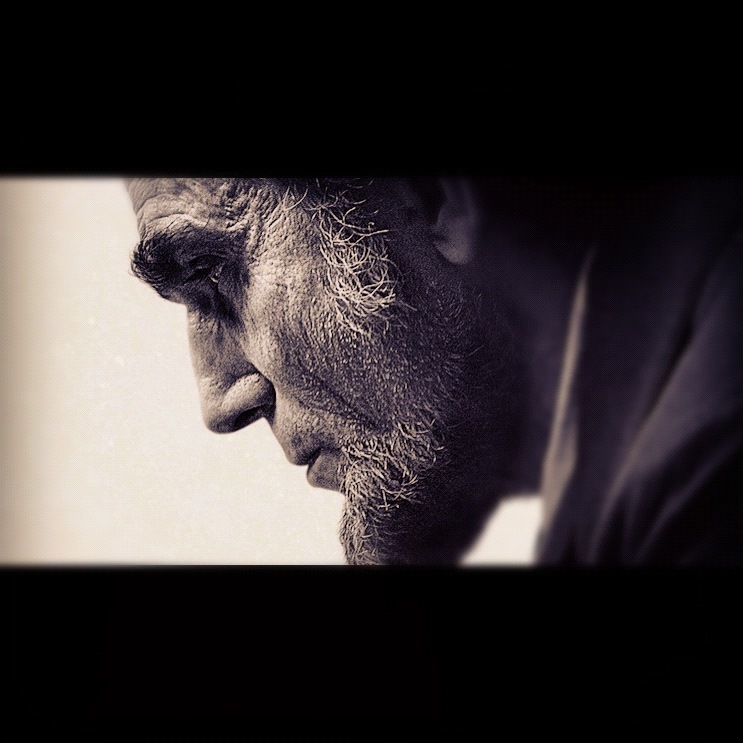 Steven Spielberg’s “Lincoln” chronicles the last 4 months of our 16th President’s Life – focusing on his mission to abolish slavery. 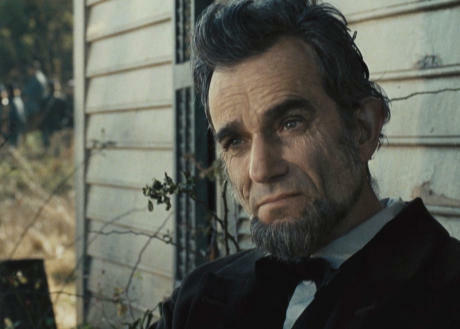 This weekend Steven Spielberg’s long-awaited biopic Lincoln was released in theaters throughout the country. This epic, a decade in the making, chronicles the last 4 months of Abraham Lincoln’s life. It is a span that begins with the conclusion of America’s Civil War, focuses on our 16th President’s struggle to abolish slavery and ends with (spoiler alert!) his assassination. The film was inspired by Doris Kearns Goodwin’s Pulitzer Prize winning book Team Of Rivals, which I recently began reading. Lincoln’s early life was such a struggle, full of poverty, tremendous hardship and deep sadness brought on by the losses of two women he was extremely close with – his mother and older sister. In a country that cherishes it’s underdogs – Abraham Lincoln was the consummate. He ascended from poverty to the most prominent position of power available in America and then carefully guided our scarred, fractured nation through it’s darkest hours. With every new sentence you read about this man you can’t help but feel a deep resonance within that grows greater by the moment. He’s is simultaneously relatable and paradoxically distant and untouchable — like a myth. For me, Lincoln is so inspiring for his philosophy, not his political philosophy…but the philosophy with which he lived his life by. Famous picture of Lincoln taken in 1863. Growing up in complete poverty, Lincoln was focused on his great life ambitions from a very young age. Lincoln didn’t have the luxuries enjoyed by many of the politicians that would be his contemporaries. His father was an illiterate farmer who seemed to always be working off debt. Lincoln had to work excruciatingly long hours every day just to make ends meet. Still, no matter how tired he was he made time every day to read. Whatever book he could get his hands on, sometimes traveling miles to borrow one from another family. There are stories about a young Lincoln that would be so excited when he would get a new book that he would be transfixed upon it, unable to think of anything other than opening it’s cover and discovering the illumination of its pages. His father not only looked down upon his son’s passion for knowledge but actively tried to sabotage it — often destroying his son’s books or beating Lincoln as punishment for reading. But Lincoln saw the knowledge he gained as power. He used it to build his confidence and fill his powerful mind. He taught himself how to memorize passages at will and throughout the rest of his life always made time to read. Lincoln never stopped learning. He used this knowledge to build his law practice, outsmarting lawyers with greater pedigree and academic degrees than him by far. He did the same later with his political adversaries. Abraham Lincoln never left America, but the depth and range of his knowledge allowed him to see the World. Our Founding Fathers created America because they believed that people had the God-given right to govern themselves…that they should be uninhibited by kingdom or government in the fulfillment of their great inner potential. As Lincoln was coming-of-age in a still very young America he had to fight for every ounce of his knowledge. He cherished it so deeply that he would someday give his life fighting to pass the 13th Amendment and abolish slavery. It was an act that would pave the way for millions to experience the same “God-given” right. In today’s America many of us treat our education and the powerful knowledge that can be gained from it with indifference and entitlement. I can only imagine how this would make Lincoln feel. This is a lesson in empathy. His historians have often focused on Lincoln’s deep, almost preternatural feelings of empathy. He seemed to absorb the suffering of others and it would quickly manifest as his own. Throughout the brutal days of The Civil War Lincoln often ended his nights by writing long, heartfelt letters to widows and parents of soldiers who had died in battle. In these letters he often talked about the multitude of personal losses he had sustained throughout his own life — his mother, sister, and young son Eddie who died after a long struggle with tuberculosis when he was only four. It would be easy to say that Lincoln’s empathy was shaped solely by the personal losses he endured, but history seems to indicate it goes much deeper than that. Many agree that Lincoln had what could be called a “melancholy” demeanor and temperament. He was extremely pensive, thoughtful and serious — giving him the appearance of a man that may have battled chronic and almost crippling depression throughout his life. But when you look at Lincoln’s life on the whole you see a man that didn’t suffer from the depth of his feeling but used it to help shape his endeared philosophy on life. There are almost comical stories about Lincoln’s empathy in his young life. He’s said to have been deeply disturbed and almost personally hurt by seeing his schoolmates turning helpless turtles on their backs and burning their stomachs with matches. This childhood experience is said to be one that Lincoln often revisited. There’s one story about an older Lincoln who passed a horribly injured pig on his way into town. The thought of leaving this defenseless animal there to die ate away at him so much that he went back, rescued the animal and helped nurse it back to health. Those that knew him best report that Lincoln seemed to be incapable of hurting another living creature. That their pain was unbearable to him that he would do whatever was in his power to “fix” it to lift the cloud of anguish he was experiencing. Knowing all of this one has to wonder about the toll the carnage of The Civil War must’ve taken on him. But maybe this tells us something else about leadership. I believe that a great leader should be one of great empathy and a deep understanding of others experience. There are studies that show that Empathy is on the decline in today’s world, falling precipitously. Some organizations such as “The Greater Good” (http://greatergood.berkeley.edu) are working hard to develop programs promoting and increasing empathy, especially in children. I believe that a detachment from our empathy is a fracturing of our very humanity. From the way it sounds, our 16th President would agree with this statement. Lincoln struggled mightily with some of his greatest decisions – not only during his presidency but in his personal life as well. When courting his wife Mary he revealed to his closest friends the conflict he felt within, wondering openly if we would be able to provide a happy home life for her at the same time as he pursued his vast personal ambitions. The President was notorious for stalling, plotting, and struggling with big decisions. Quietly taking his time to meditate on all of the possible angles. It made his foes think he was weak and indecisive, but in truth it was this ability to weigh all of the possible scenarios and “see” all of the potential consequences to any action taken that formed his great perspective. I’ve always believed that leadership should be strong, immediate, and decisive. But as I get older I value more and more the benefit of giving big decisions the time they deserve. Lincoln was a master at this, not only doing his own thinking but inviting the thoughts and opinions of those around him — from his most trusted confidants and sometimes to individuals that weren’t much more than strangers. To be a great decision-maker, especially one who is counted on to make decisions for others, I’ve learned that you should never feel that your way is the only way or the right way. Lincoln always invited discussion, wasn’t overly threatened by challenges to his opinion. At the times in his presidency where things were at their worst, he seemed to have an uncanny ability to become egoless. When you are making decisions from an egoless place you have the ability to think free of emotion. This also allowed Lincoln to understand and appreciate the art of seizing an opportunity. The main focus of Spielberg’s film is the struggle to Pass the 13th Amendment in the final days of the Civil War. Lincoln could’ve settled for a quicker end to the War, which would’ve been the popular choice. Instead he saw a unique opportunity to not only end the War but Slavery simultaneously and he pushed and persuaded all of the branches of our Government to make it happen. When one operates from an emotionless and egoless place their vision into the future is vast. He knew the importance of seizing the moment, probably because he gave each of his decisions the value, time and respect it deserved. 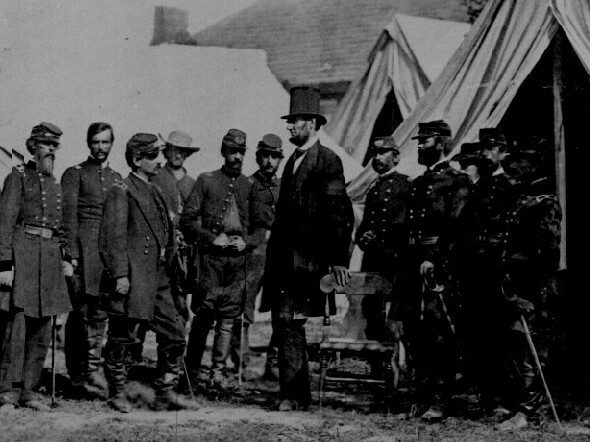 Lincoln visiting Union troops on the battlefield. A continuation of Lessons # 2 and 3, Lincoln used his uncanny empathy to see from the point-of-view of others. This again means a detachment from the needs, wants, and desires of oneself in order to accurately see and feel a situation from the place of another. Empathy allows you to interpret the motivations, hopes, and possible decisions that others may feel and make. This ability made Lincoln a formidable political foe, as he could accurately predict how challengers and enemies would think and act — always staying many steps ahead of them. He knew exactly how to support and inspire others in order to get the best out of them even in critical and sometimes dire situations. Lincoln took the time to surround himself with people that didn’t just follow his lead but often challenged him. He invited criticism and kept discourses loose and open. Some of his greatest rivals earlier in his political career would sit with him in his Cabinet and would later become some of his closest friends and greatest admirers. He knew how to make a friend out of any enemy, not by manipulating but again leaving himself open. With the thoughts and minds around him free of any constraint he was again able to get people operating around him at their best. He didn’t see their challenges as personal attacks, it didn’t make him defensive, he instead saw their opinions as they really are — different, but never wrong. As serious and melancholy as Lincoln often was, he’s also remembered for being incredibly funny. His sense of humor was quick, sincere and self deprecating. As serious as the times he lived in were, he was always careful to not take himself too seriously. In the middle of serious meetings he would often divert the attention of the room to the humorous with an anecdotal story. Sometimes these moments of humor seemed to come out of nowhere, surprising those around him. But it seems that the opposite is true…Lincoln knew what kind of effect his humor would have on others, often helping them to loosen up when they were too tense. A great leader can innately sense what those around him are thinking and feeling, and thus knows exactly what to do to have them thinking and working at their best. Often this means giving them the opportunity to breathe, forget, and relax for a moment before re-focusing on the difficult work ahead. When it comes to bringing and keeping people together, humor is a indispensable tool. Lincoln not only knew, but openly embraced and practiced this. Lincoln loved the escape offered by great stories. When he was a boy and couldn’t get his hands on many books he would read the ones he had over and over again. He’s said to know The Bible inside-out, have Aesop’s fables memorized, his knowledge of Shakespeare was deep and rich as was his knowledge of Greek mythology. Abraham Lincoln not only loved a good story but also saw the immense value in sharing them with others. If reciting Euclid or sharing a memory of a person or place from his past he was always telling stories. Many times they were just entertainment or distraction, but other times he used them as metaphors…teaching lessons to others without force. A great teacher suggests, guides, and leads their students to the right choice without ever telling them what to do. Lincoln could be disarming at this, and he used stories to impart his lessons. In Time Magazine’s recent “What Would Lincoln Do?” release there is a famous story about a bunch of abolitionists that confronted Lincoln during a New England speech in 1862. Demanding he take a stronger stance against slavery, he responded by asking them if they “remembered Blondin?” As far as they were concerned it had absolutely nothing to do with the Anti-Slavery movement, but they did remember Jean-Francois Gravelet who several years earlier walked over Niagra Falls on a tightrope. Known as “The Great Blondin,” Gravelet traveled back and forth over the Falls several times, pushing a wheel barrel, cooking an omelet and carrying others on his back…all on a tight rope no wider than 3 inches. Lincoln used the man and his feat as a metaphor, asking the raucous abolitionists if they were there to see him walking over the Falls if they would shout out at him with instructions of how he should take his next step. It was clear to him and them that Blondin’s achievement was a metaphor for Lincoln’s own balancing act and a plea to his challengers to be patient. 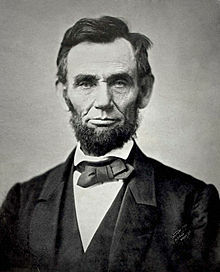 Less than three years later he would deliver an End to Slavery only months before negotiating the end of The Civil War. Instead of coming right out and revealing his innermost intentions, Lincoln instead used a metaphor to convey his message. Stories create lively images that live inside of our minds, they force us to think and see more empathetically especially when they are in the hands of a storyteller as masterful as Lincoln was. 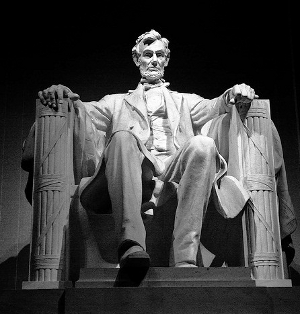 Lincoln cherished stories and their ability to bring people of all ages, beliefs, and backgrounds together to become of a single mind…if even for a moment. From the time he was young, Lincoln was desperate to make a mark in this World, to have some kind of long lasting impact. Even though he believed in God he privately doubted the presence of any kind of afterlife. He knew that for his existence to matter he needed to do good work while he walked this Earth. He was always conscious about the impact he was having, how he would be thought of an remembered and put tremendous pressure on himself to live up to his own expectations of himself. Many succumb to the pressures put on them by others…living their whole life seeking the approval and acceptance of others. Abraham Lincoln needed the support and even adoration of millions of Americans to ascend politically but looking back on the man and the way he lived his life it doesn’t seem as though he was dependent on the approval of others. Lincoln seemed to have lived his life the way I desire to…working only for his own approval, following a life philosophy not of others’ creation or design, but of his own. Lincoln often thought deeply about existence, about destiny and fate, the role we were to play on this Earth and what of it was intentional. In Spielberg’s film, at a critical point in the President’s wartime decision he openly asks two young military officers if they “think that we choose to be born, or are we fitted to the times we’re born into?” According to screenwriter Tony Kushner there’s no evidence that Lincoln ever said this, but when he was first starting to think about the writing of the screenplay this line was the first thing he ever wrote down. He explains that he believes this is something Lincoln would’ve thought about internally very deeply. Above all, maybe the key to living a good life, to leaving a lasting legacy is not just believing in yourself and your own abilities but believing in the greater good for all that you share this world with. For all of the causes that inspired Abraham Lincoln, for everything he truly believed in there seems to be nothing more important to him than the belief in his fellow man. Our 16th President was a man that not only hoped and dreamed for a better world but worked endlessly to create it, to bring it to life within the hearts and minds of everyone he shared the world with. A great leader guides not with their power, politics or rhetoric they choose a path less traveled. It is a path where they are led by the warmth and strength of their heart. Open, free, and full they are generous with their energy and spirit. Long before he gave his life for America, Abraham Lincoln had given us his mind, heart, and soul. Like any great soul, he probably expected nothing in return. The best way we can honor him now is to live a good life, one full of humor, empathy, and careful thought…a life rich with knowledge, compassion and a belief not only in ourselves but in all others we share the world with. It should be a life that would make a great story one day. One that Abraham Lincoln would be eager to read about by firelight or share with a stranger. ~ by Dan Fabrizio on November 19, 2012.